The next-generation Hyundai Elantra reportedly debuts at the 2015 Los Angeles Auto Show in November, but there’s still quite a while before the updated model arrives at dealers. To keep the sedan somewhat fresh among a crowded fielded of competitors, Hyundai is giving the 2016 model year a new Value Edition and some small tweaks to other trims. The 2016 Elantra Value Edition rings up for $19,700, plus $825 destination, and all of them come with a 1.8-liter four-cylinder with 145 horsepower and 130 pound-feet of torque along with a six-speed automatic. To earn its budget-friendly name, Hyundai claims the new trim bundles $1,000 in features for $550 more than the Elantra SE with the Popular Equipment Package. On the outside, these models get a sunroof, chrome beltline molding, and turn signals in the side mirrors. The improvements are a little more extensive inside with a tilt-and-telescoping, leather-covered steering wheel, push-button start with proximity key, and heated seats. In addition to the Value Edition, the Elantra Limited now gets standard push-button start with a proximity key and dual climate zones. Hyundai claims that it’s a $600 value, but the $21,700 price is the same as last year. Finally, the Elantra Sport is losing some features to lower its price. The trim now retails for $1,350 less than last year at $20,250 with the 173-hp, 2.0-liter four-cylinder and six-speed manual or $21,250 with a six-speed automatic. However, to make that savings possible, the leather seats and power sunroof are no longer standard features. The interior now has cloth upholstery. 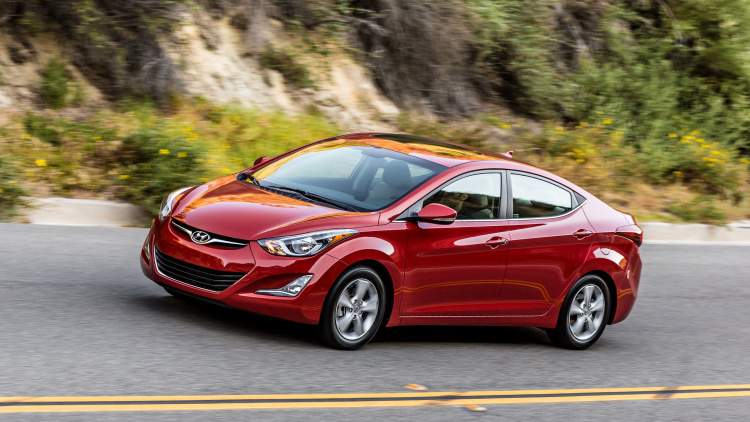 The 2016 model year Elantras should arrive at dealers in May.